Shouldn’t that be the day we call “good”? It feels so much better! He knew what was ahead.He knew what he would experience. And he knew why he would go through it. His grace is freely given.We don’t have to pay for it. He paid the price for us already. 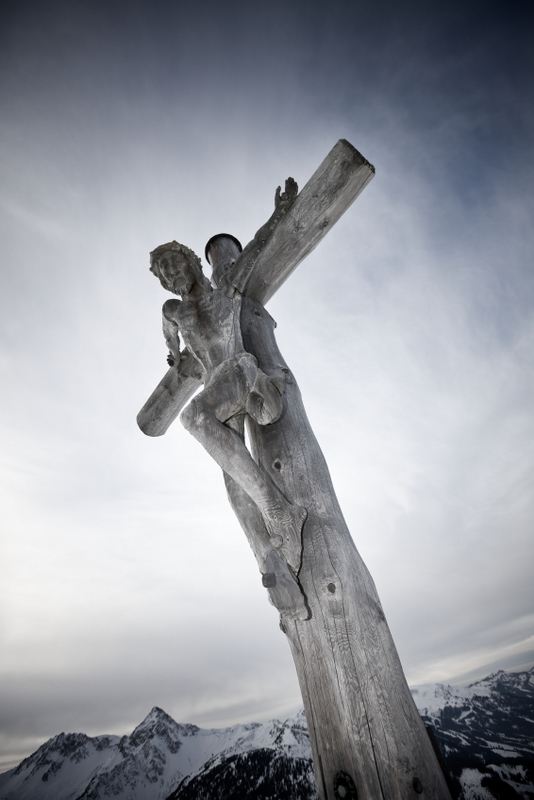 38 Comments on "When Good Friday Doesn’t Feel Very Good"
Thank you for sharing he good news! Christ is our Redeemer – he paid the ultimate price so we might live! God bless you both this Easter! BEAUTIFUL post! So thankful for HIS grace and mercy!!! What a wonderful courageous post. And you are so right. Truly. So thankful for the grace he bestows on each of us. Hallelujah!!!!! He has Risen INDEED!!!! Thank you for the wonderful post… we can never be reminded enough of the sacrifice that was made for us. Blessings to you. I feel the same sitting in the pew at our church on every Good Friday. You have explained the real reason it is called “Good” in a very easy-to-understand manner and I felt moved by the words you have written. It is true, we must appreciate the pain and suffering of Jesus before we can rejoice in his resurrection – it makes Easter Day feel all the more, a day of celebration. A Blessed Easter to you! AMEN!!! So very well said! So Beautifully written Vanessa, it is so humbling to know the Shame and Pain he suffered on my behalf to pay the penalty for my sins. Oh how I LOVE my Savoir. And, Yes!! It is just the beginning, how Exciting is that!!! Have a VERY Blessed Easter Season! How beautifully you have told His story of our redemption! I remember the story of Lazarus. When He stretched pit His hand and said” come forth”, just as He did for you and me. He called us from our sins and with His grace saved us. Thank you, my sweet sisters. We may never meet in this world, but we will in the next. Was watching a movie of Jesus life yesterday and just sat amazed at how the torture was portrayed…why He would suffer like that for me….Blessed Assurance! 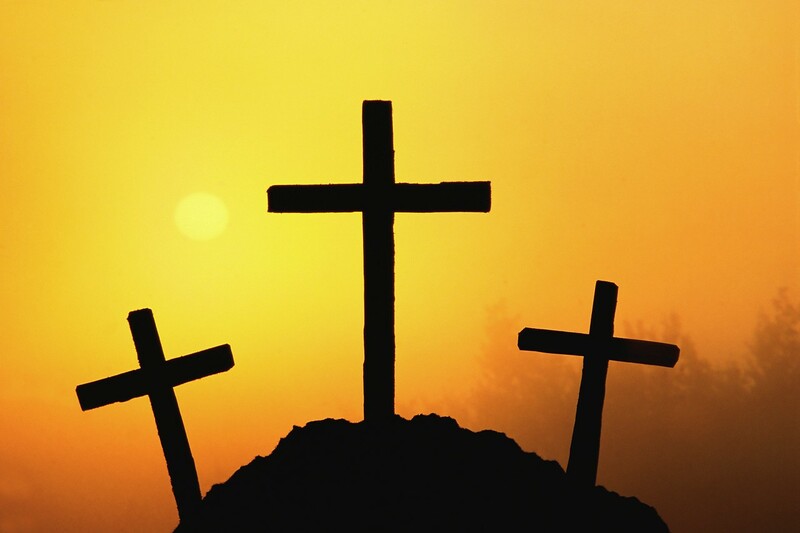 Yes today is a hard day to remember, but Hallelujah….in 3 days He rose again….just as He said! I am so thankful for my salvation and all the help and provision that God gives me daily through His son, Jesus Christ. My mind cannot completely comprehend the love Jesus has for us that he would die such an agonizing death to give us eternal life! I praise God today and every day!!!! Thank you, Father!! 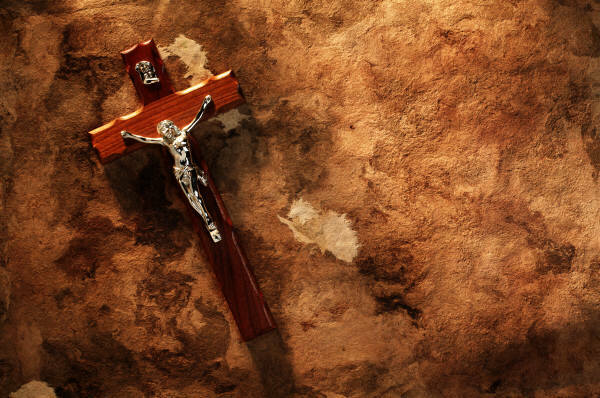 I’m back again to let you know that I was so moved by your meaningful,thought provoking and informative post today, I’ve put a link to it in my Good Friday post. I hope that’s okay. Thank you and thanks be to God that we can share the Good News that Jesus’ suffering and death leads to the resurrection and our eternal salvation through blogging! Thank you for such a lovely posting today. We are so blessed by our Lord and Saviour. Undeserved but given by His grace. May you enjoy a wonderful Easter day. Thank you for sharing the Good News! Happy Easter! Thank you for such an amazing post. What an amazing gift we have been given through Christ. I agree that to truly comprehend what He did for us we must feel the suffering and realize the grace given to us. Beautiful post. We need to remember what Easter is all about. It’s not the Easter bunny and Easter eggs. You have said it so compellingly. Thank you. God bless you. Vanessa – thanks for a beautiful post. Thank you Vanessa! Your post touched my heart this Good Friday evening! Beautiful post Vanesa! I should be with my family right now at church but couldn’t……It all seems so overwheaming and too much for me, I know, not what God wants…Thank you for sharing this. Oh Vanessa…this is the second year during this most blessed week your post has moved me to tears. This was so beautifully written…and yes it is hard to comprehend what Jesus did for us 2 thousand years ago. No greater love is there than to lay down ones life for another. God bless you and yours and wishing you a glorious Easter Sunday. Amen, sweetness! It gives me pain too to think what Jesus endured for me! I’m so unworthy, but like you said – Grace! That covers us and praise God for salvation. Vanessa, thank you for boldly sharing the Gospel! Happy Easter to you, Heather, and your families. Beautiful post, Vanessa. I perfectly understand your sentiments about Good Friday. I almost feel like I should be in mourning on Friday and Saturday before Easter, but then I remind myself that the joy of Easter Sunday wouldn’t have happened without the sacrifice on Friday! Beautiful and inspiring post. I hope you and your family have a wonderful Easter. What a beautiful post, Vanessa. Wishing you and your family a glorious Easter!! You hit the nail on the head for how I’ve felt for many years. I have always felt that way about Good Friday….tears and all. Thanks for putting it to words. Have a blessed Easter. Thank you. Your words were a kindness and a comfort in an unkind world. Happy Easter! What a beautiful post! You are so right.It is amazing to think we could be loved so much! I hope you had a wonderful holiday.